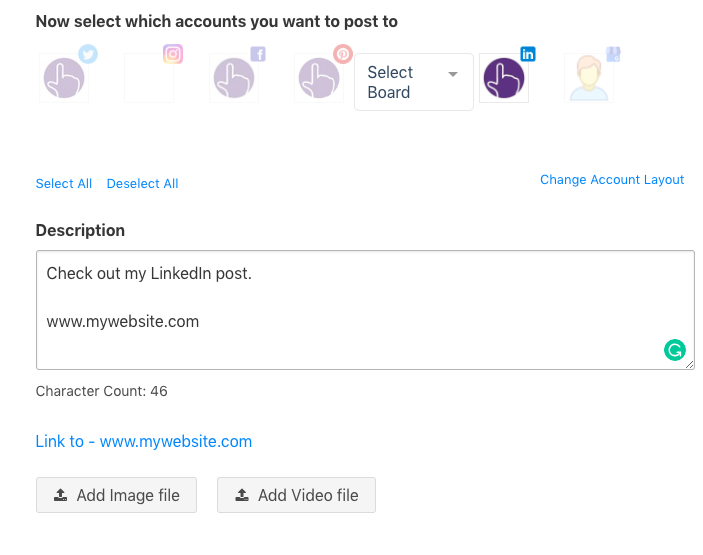 Posted byDavis Baer	 March 18, 2019 March 20, 2019 Leave a comment on What is an IFTTT alternative for LinkedIn? When LinkedIn updated their API in March of 2019, it meant that IFTTT no longer worked with LinkedIn. Here is a look at an IFTTT alternative for automating LinkedIn posts. OneUp is an IFTTT alternative for LinkedIn that allows you to automate posts on LinkedIn. First connect your LinkedIn account to OneUp by clicking the Connect button on the accounts page. 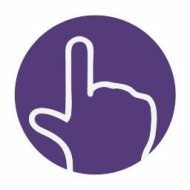 This will connect your personal LinkedIn profile, plus any LinkedIn Pages that you are an admin on. You can also add your Facebook, Twitter, Pinterest, Instagram, and Google My Business accounts if you wish. 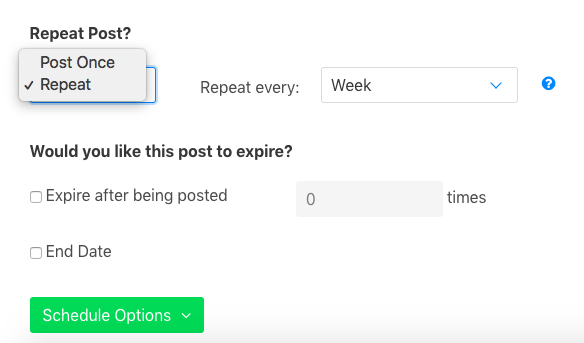 After click schedule a post to create a post. You can choose to have the post go to just LinkedIn, or add any of your other accounts. You can add text, links, and images to your posts. Then choose to your LinkedIn update posted once, or have it automatically repeat at set intervals. You can then pick to post it now, or schedule it for a future time. OneUp is an alternative to IFTTT for posting to LinkedIn. 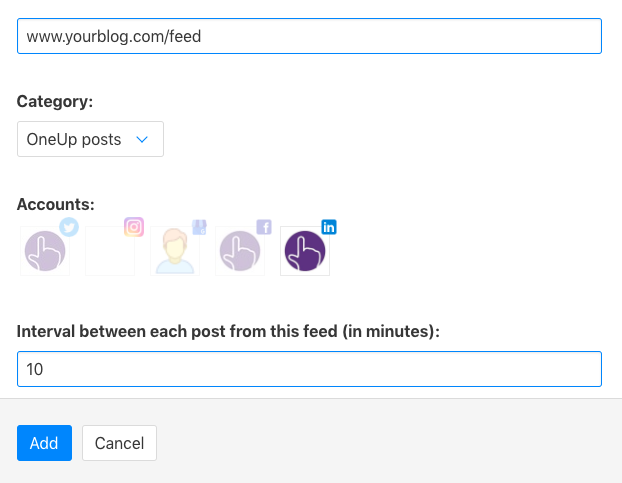 Another way to automate your LinkedIn posts is to connect an RSS feed to your LinkedIn account by using OneUp. Under Schedule Post, click Auto-post from RSS feeds. On the RSS feed page, click Add new feed. Then add the RSS feed URL that you want to automatically post to your LinkedIn page. You can add your own blog, podcast, or YouTube channel, or add feeds from others that you like. You can choose to have the RSS feed post just LinkedIn, or have it also post to your Facebook, Twitter, Instagram, or Google My Business. Then choose the minimum interval between each post from that RSS feed. Once added it, OneUp will schedule the 10 most recent posts from that RSS feed at the minimum interval you set. Moving forward, it will continuously check that RSS feed and automatically post to LinkedIn whenever there is something new.